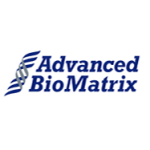 Advanced BioMatrix is a leader in the life science three dimensional (3D) applications for tissue culture, cell assay, and cell proliferation. Our products are recognized as the standard for purity, functionality, and consistency. We offer the premiere collagen products in the industry, including PureCol®, bovine collagen at 3 mg/mL, previously Vitrogen®.